Sixty-three per cent of voters in Kingston, Ont., supported moving from first-past-the-post to a ranked ballots system for the next municipal election. Kingston's new council will start the process of changing the city's voting system for the next election when they take office, and champions of the ranked ballot system in Ottawa believe there's momentum to pursue it in this city, too. 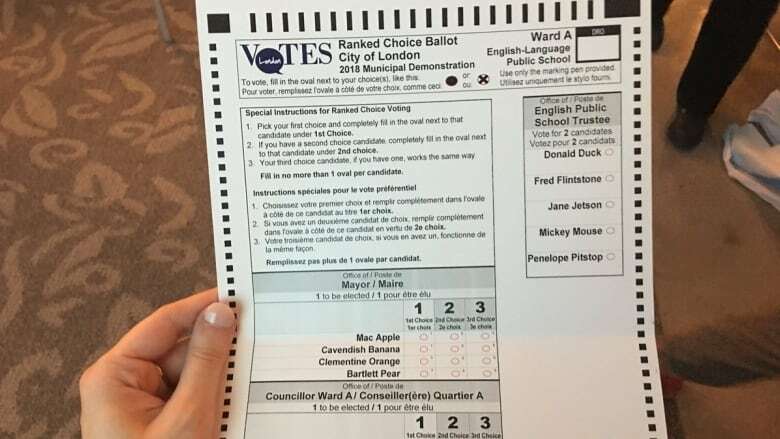 Voters in Kingston were asked a referendum question on Monday's municipal election ballot, and 63 per cent said they supported using ranked ballot voting to elect their mayor and district councillors. Was the ranked ballot system the reason for the low voter turnout in London? The decision wasn't legally binding, because voter turnout didn't hit the required 50 per cent mark. Mayor Bryan Paterson will table a motion regardless. "When you've asked voters a direct question, and you've gotten a direct answer, I think it's pretty clear which way we should go," said Paterson. Paterson first began to ask Kingston residents what they thought of ranked ballots shortly after the province gave municipalities the option of changing their voting systems back in 2016. "I just don't believe politicians should be making decisions on how they are elected. I think it's just too easy for self-interest to get in there," Paterson said. In the first-past-the-post system nearly all municipalities in the province ran this year, voters tick just one box for mayor and their councillor. In contrast, with a ranked ballot system, voters would mark their first, second and third choice of candidates. If no candidate wins a majority, the person with the fewest first-place votes is eliminated. The second-place choices of those who voted for that candidate are then counted — and so on — until one candidate wins a majority. The main advantage of ranked ballots, Paterson sees, is that the system is said to discourage negative campaigning because candidates are trying to appeal to voters who may rank them as second choice, as well as first. In Ottawa, however, a referendum was never even discussed when the notion of ranked ballots went before councillors in December 2016. Mayor Jim Watson said at the time he preferred first-past-the-post, and that when he went to vote he wanted to vote for his candidate and not have to consider other possibilities. "Generally when people go in they are voting for someone and not against someone," Watson said. Colum Grove-White of Ottawa 1-2-3, a group that advocates for a ranked-choice voting system, said having the support of the mayor helped Kingston get a referendum. His group surveyed candidates this election to find out which ones supported ranked ballots and found eight of the 24 elected on Monday support the move. Rideau-Rockcliffe Coun. Tobi Nussbaum is one of them. He thinks Ottawa is in a different situation now that London, Ont., used ranked ballots in its municipal election, and Cambridge and Kingston held referendums. 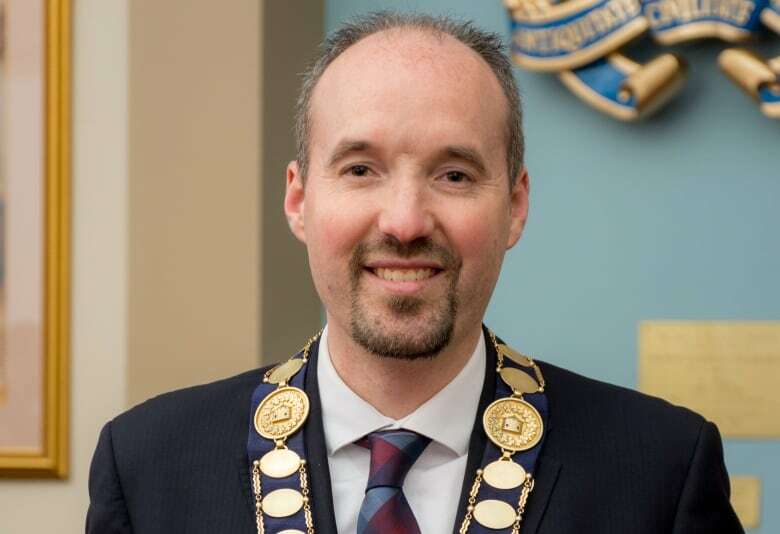 There's more experience in the province, and more councillors open to the idea on the new city council, than when the last discussion happened, Nussbaum said. "The time is much riper now than it was, and I look forward to advancing the discussion this term of council, for sure," Nussbaum said.